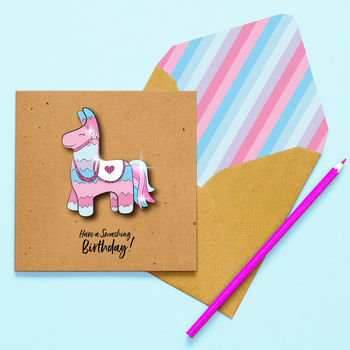 Krafty Collection cards are known for it's light hearted humour and cute and quirky 3D characters. 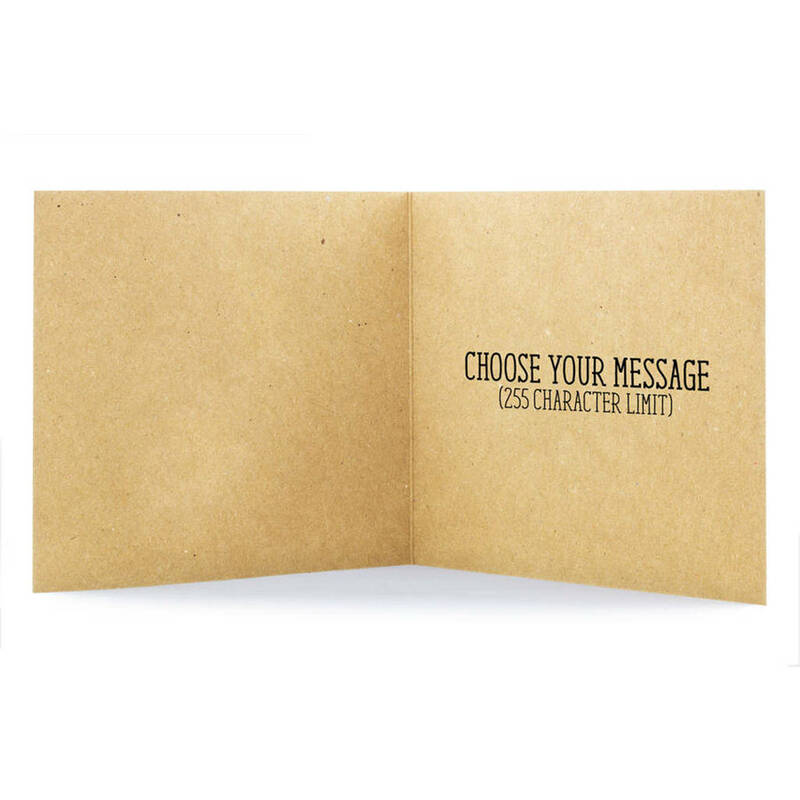 This card comes with a specially designed, matching printed envelope and envelope seal, making this card a truly unique gift for loved ones, friends or family. All of our cards are designed using our own original illustrations (©) and are hand-crafted in Britain, using the highest quality UK sourced materials. 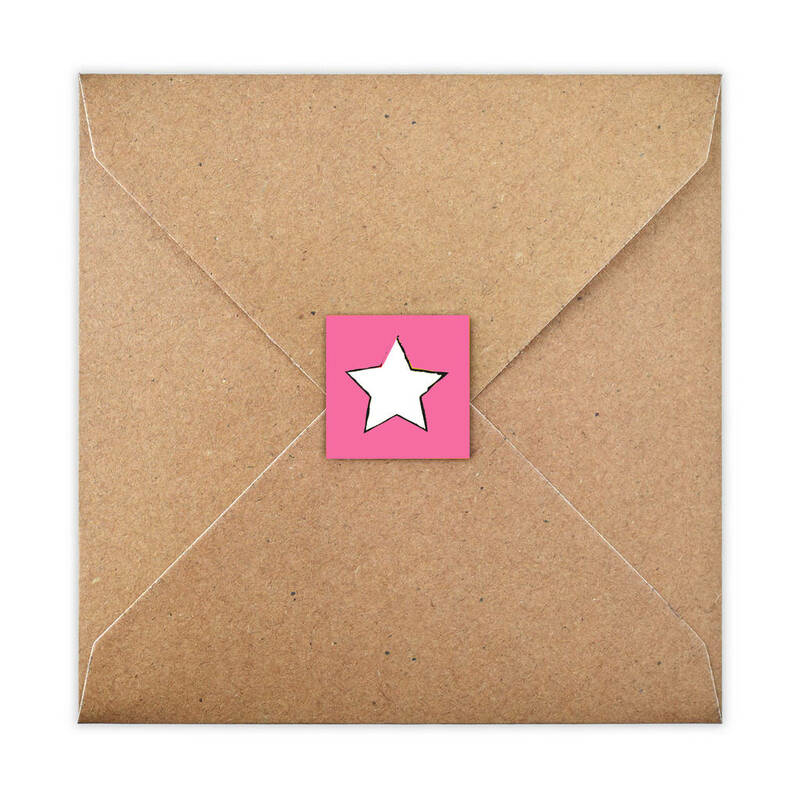 We also offer the option of a personalised inside message printed directly onto the inside of the card. Otherwise the card will be left blank. All of our cards come with a uniquely designed matching patterned envelope and envelope seal, making our this card a special gift for your friends and family. The highest quality FSC certified recycled materials. This product is dispatched to you by Tache.